During the Anderson Valley Pinot Noir Festival, I had the pleasure of staying at The Madrones, a welcoming, newer, Mediterranean-styled lodging located in Philo on Highway 128. The two-story buildings house four beautifully appointed guest suites. 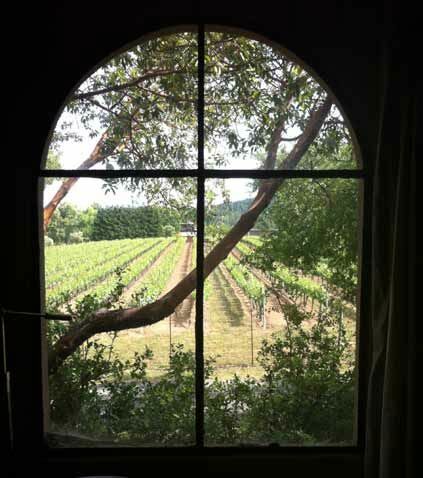 The photo below shows the picturesque view out the window of my suite looking over the vineyard at neighboring Goldeneye. More photos of The Madrones follow. 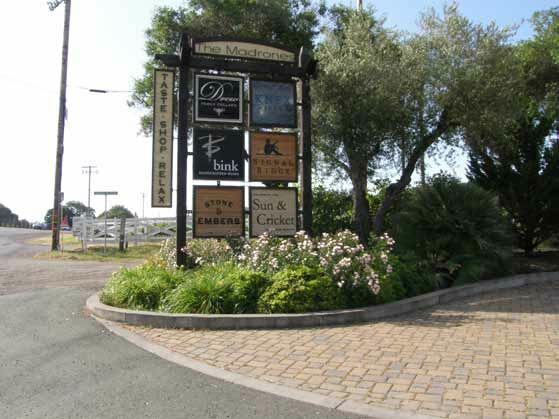 There are four tasting rooms in The Madrones complex including Bink Wines, Drew Family Cellars, Knez Winery and Signal Ridge Vineyards. Balo Vineyards and Domaine Anderson are across the street and Goldeneye is next door. Besides these opportunities to taste wine, the many other winery tasting rooms that dot Highway 128 in the Anderson Valley are only a short drive away. 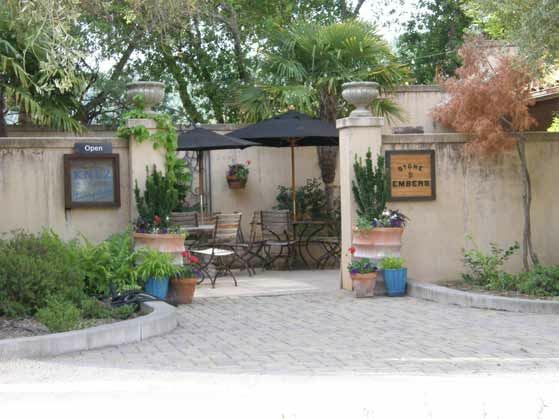 The Anderson Valley has never had any fine dining options other than the Boonville Hotel until the Stone and Embers Restaurant opened in The Madrones. Chef and owner Patrick Meany has an impressive resume, having been the chef du cuisine at Heritage House in Mendocino and stints at Bouchon in Las Vegas and Gary Danko in San Francisco. The restaurant offers lunch on weekends and dinner Monday through Tuesday, with both indoor and outdoor seating. California cuisine is featured including wood-fired pizzas of distinction, including one topped with homemade turducken. If you go, you must try the mushroom ‘chicharrones’ sprinkled with Parmesan. 707-895-3471. It was a treat for me to accompany Jason to Burt Williams’ Morning Dew Ranch in the “deep end” of the Anderson Valley. Since Burt stopped making wine after the 2009 vintage, he has given his favorite blocks to Jason who crafts a superb vineyard-designate Morning Dew Ranch Pinot Noir. At the Ranch, we met Burt and tasted 2013 barrel samples of Morning Dew Ranch Pinot Noir. One sample was from the Rochioli Block of the vineyard which had more spice and pink flower character. The sample of the “828” Block of the vineyard was more concentrated with slightly darker fruit and more tannin. It was fascinating to walk the vineyard and see two different blocks, observe the soil and aspect differences, and have Drew explain to me how the difference in terroir was translated into the two barrel samples we were tasting. One interesting fact came out of our discussion. I am fascinated by whole cluster fermented wines and Jason is a proponent. He told me that the advantages of whole cluster fermentation include, (1) a longer, slower fermentation, (2) lower finished alcohol, (3) more aromatic interest, and (4) a better mouthfeel. At the Grand Tasting, Drew was offering tastes of his excellent 2013 Mendocino Ridge Vin Gris of Pinot Noir. He crafts a killer Albarino too. 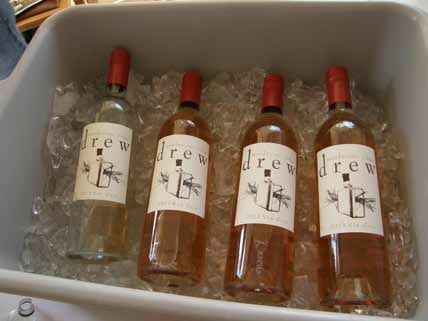 Drew wines are sold primarily through a mailing list at www.drewwines.com. 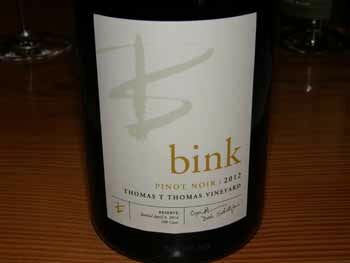 Bink Wines is a partnership between winemaker Deborah Schatzlein and winegrower Cindy Paulson. With degrees in chemistry and biology, Deborah’s expertise in winemaking belies her modest persona. She has a background as a consulting environmental engineer experienced in cleaning up hazardous waste. She developed the water treatment system at The Madrones. Schatzlein started making wine in a garage, then worked at William Hill in the lab and cellar. She became part of the winemaking team at Cliff Lede and took care of their environmental issues as well. A number of classes at University of California at Davis enriched her winemaking knowledge. In 2001, she launched the Bink label and in 2005, became a winemaker full time. The name “Bink” comes from the French for Syrah (“blkink” shortened to “Bink”), and seemed appropriate since she began making dark red wines. Deborah crafts several varietals now, including Sauvignon Blanc, Rosé (Lumineux), Pinot Noir, Merlot, Syrah, and a Red Blend (Melange). The wines are produced across the street at Balo Vineyards facility. The tasting room at The Madrones is open Wednesday through Monday from 11:00 to 5:00, and is staffed by Monika or Bruce. The Bink Wines website is www.binkwines.com. The Pinot Noirs tasted were released the weekend of the Anderson Valley Pinot Noir Festival. 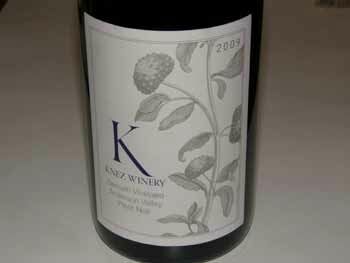 Knez Winery is based at Demuth Vineyard, acquired along with Cerise Vineyard by owner Peter Knez in 2007 and 2008. The two vineyards are on the wine grape growing edge, ripening late even by late-ripening Anderson Valley standards. Filiberti was well acquainted with Demuth Vineyard when he joined Knez since he made wine from that vineyard at Anthill Farms. 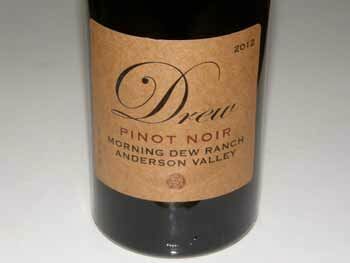 The inaugural Anderson Valley Pinot Noir, a combination of Demuth and Cerise fruit, was released with the 2009 vintage and a 2009 single-vineyard Demuth and Cerise Pinot Noir followed in 2011. Filiberti has moved to the head of the list of respected young California Pinot Noir winemakers. His resume includes working with Lynn Penner-Ash and Josh Bergström in the Willamette Valley, followed by a stint at Williams-Selyem and his continuing work with Anthill Farms. The vineyard manager at Knez is Ryan McAllister who has farmed some of Mendocino’s most prestigious vineyards including Morning Dew Ranch and Hein in Anderson Valley, Weir in Yorkville Highlands and Valenti in Mendocino Ridge. Besides Demuth and Cerise vineyards, McAllister a;so manages the Knez Vineyard that was planted in 2009 and fills the space between Demuth above and Cerise below. As a result, the hillsides adjacent and below the winery site are a contiguous run of vineyard blocks. The vineyard has 4 acres of Pinot Noir, 1 acre of Syrah and Viognier, and 1 acre of Pinot Gris, Friulano and Malavasia. 2012 is the first harvest from Knez Vineyard (pictured below). All Knez Winery vineyards are farmed using organic and Biodynamic practices. Considerable effort has been expended at the dry-farmed Demuth Vineyard which was planted 30 years ago by the Demuth family. There are 7 acres of Pinot Noir planted to Wädenswil and Pommard clones and 8 acres of Chardonnay entirely planted to old Wente clone. Located at 1,400 to 1,700 feet elevation, the soil is mostly Bear Wallow-Wolfy with a fairly deep topsoil. Compost has been added, the cover crop improved, and yields have been lowered. This vineyard has a smaller diurnal temperature variation (60º-80º) compared to vineyards on the valley floor (50º-90º). Cerise Vineyard has been featured at a previous Anderson Valley Pinot Noir Festival Technical Conference and discussed in detail (www.princeofpinot.com/article/1223/). Soils are primarily Bearwallow with zero to 3 feet of top soil over rocky sandstone. There are 12 different blocks so there is a patchwork of terroir. Because of the wind and poor soils, the vines struggle to be vigorous and produce small clusters and berries. Wines from this vineyard tend to be less forward with more tannins. The Knez tasting room is very relaxing and airy, and it was a pleasure to sit in the cool setting to taste with Filiberti. The tasting room is open Thursday through Monday from 11:00 to 5:00 and is staffed by Filiberti as well as James Wasson and Ryan McAllister. Knez wines are sold through a mailing list with some retail distribution. Visit the website at www.knezwinery.com. The 2012 wines tasted below represent the fourth release from Knez Winery. The first two wines have been released. 13.8% alc., sold out. First crop from Knez Vineyard. Two-thirds Pinot Gris and one-third Malavasia and Friulano. One neutral barrel. · A pleasurable sipping wine that is bright and lively, with flavors of lemon, pear and slightly nutty oak. 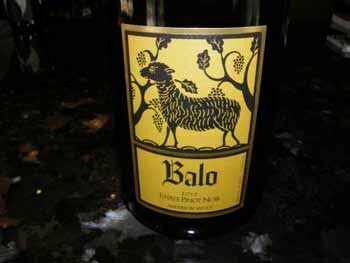 Balo Vineyards is an 8-acre, family owned, organically farmed vineyard in Philo. Originally planted in 1998 by the Mullins family, the vineyard contains five different Pinot Noir clones including 115, 777, “828,” Martini, and Pommard on 101-14 rootstock. The soil profile is a combination of Perry Gulch loam and Boontling loam. Situated on a river bench, the low-vigor soil contains considerable amounts of river rock. The site tends to produce grapes that hold onto acidity. Balo is the Latin word for “bleat,” as in bleating (“baa baa”) of sheep. The early settlers brought sheep with them to the Anderson Valley to provide food and clothing, and the area soon became known for sheep herding and wool production. The Balo estate vineyard is planted on a former sheep pasture. The current winemaker is Jason Drew with Anthony Filiberti taking over in 2015. The tasting room on Highway 128 is open Friday through Monday from 11:00 to 5:00 (dog friendly with an enclosed dog recreation area). The wines are available on the website at www.balovineyards.com. All the following reviewed wines are released. I also tasted some 2013 Pinot Noirs in the cellar out of barrel and these wines are really special. As the amount of whole cluster fermentation increases, the wines are the better for it, since the whole cluster lifts the natural acidity characteristic of Balo Vineyard. 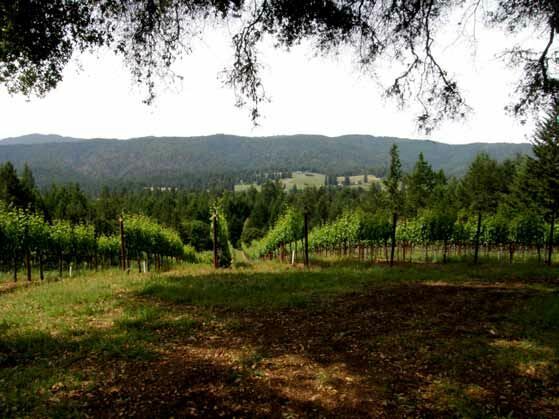 Roger Scommegna planted a vineyard on top of Cold Spring Mountain in the Mendocino Ridge AVA overlooking Anderson Valley. 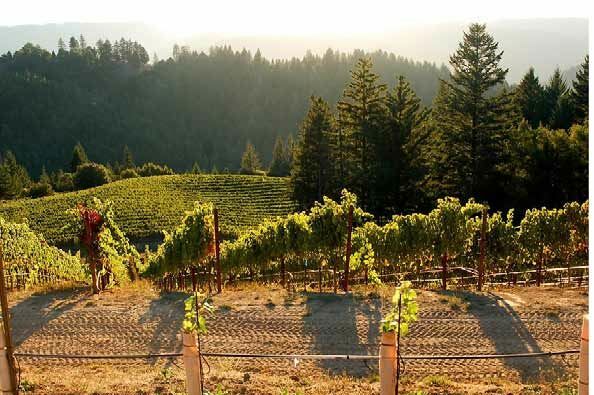 The steep vineyard (32% slope) sits at an elevation of 2,642 feet, and is the highest altitude vineyard in Mendocino, Sonoma and Napa counties. 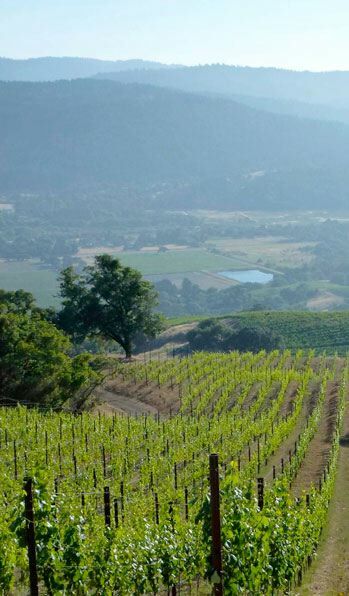 The winery’s motto is, “What altitude tastes like.” The vineyard is located three ridge lines in from the Pacific Ocean and exposed to maritime influence. Soils are relatively shallow and composed primarily of sandstone, clay and gravelly loam. Yields can be less than 1 ton per acre. Signal Ridge produces wines from estate and sourced grapes, including Pinot Noir, sparkling wine, Pinot Gris and White Zinfandel under the Signal Ridge label, and Pinot Noir and Zinfandel under the value priced Watchtower label. Grapes are also sold to Bravium wines whose owner and winemaker, Derek Rohlffs produces vineyard-designated Signal Ridge wines at the Dogpatch facility in San Francisco. Bravium will offer 9 bottlings in the 2013 vintage. 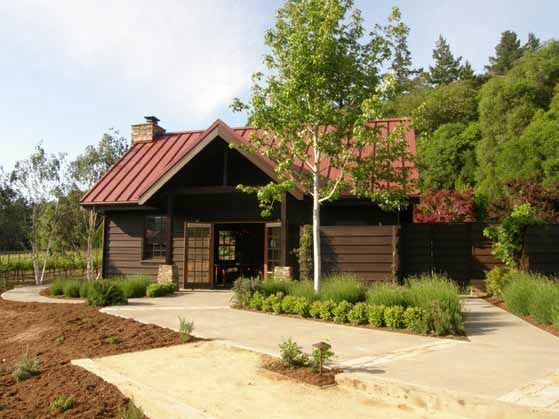 The Signal Ridge tasting room in The Madrones is open from 11:00 to 5:00 daily. Wines are also available through the website store at www.signalridge.com. The Signal Ridge wines tasted were 2013 barrel samples. All wines had some appeal. The plan is to blend some barrels and bottle a few different blocks separately showing the diversity in the vineyard. This is a fascinating project that I eagerly anticipate will produce unique PInot Noirs. 2013 Signal Ridge “828” Clone Mendocino Ridge Pinot Noir 1 new barrel. Good concentration, juicy blackberry and plum fruits with a modest oak sheen. Relatively low acidity. 2013 Signal Ridge Pommard Clone Mendocino Ridge Pinot Noir 1 new barrel, oak fermented. Less concentration, redder fruit, more spice. 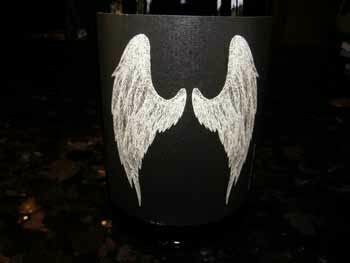 2013 Signal Ridge Swan Selection Mendocino Ridge Pinot Noir 1 new barrel. Red fruits, somewhat lean, good acidity, strong tug of oak. 2013 Signal Ridge 777 Clone Mendocino Ridge Pinot Noir 30% whole cluster. 1 three-year-old oak barrel. Aromas of herbs, leaf and tobacco. Impressive concentration, plenty of spice, substantial tannin and a velvety texture. Very appealing. 2013 Signal Ridge 115 Clone Block 7 Mendocino Ridge Pinot Noir No whole cluster. Lovely aromas of dark red cherries and raspberries. Middleweight dark red fruits with integrated fine-grain tannins. 2013 Signal Ridge 115 Mendocino Ridge Pinot Noir No whole cluster. Intense and juicy with a very long finish. 2013 Signal Ridge Block 3 Mendocino Ridge Pinot Noir 30% whole cluster. Soaring aromas of black cherry and spice. A stunning wine that can stand alone with a delicious core of black cherry and black raspberry fruits, well-proportioned tannic backbone and a generous finish.